Been a bit of a wait for our first look at this. 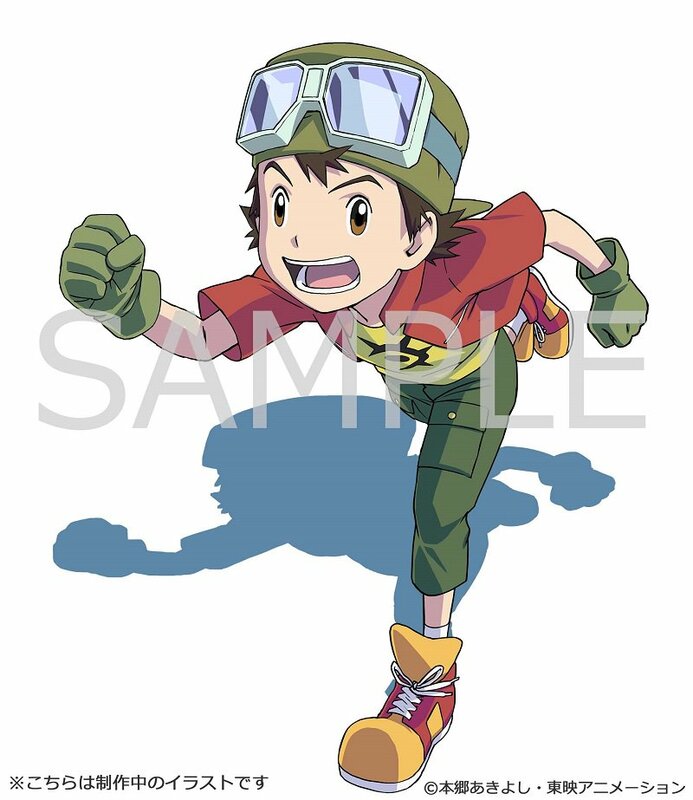 The release of the Digimon Frontier Blu-ray box is just under 3 months away, and with the preview airing of episode 1 of the Blu-ray Box version happening earlier today, they're beginning to share some of the artwork for the Frontier set! First up, part of the cover of in full color. If the box is setup the same way as on the Tamers set, Takuya is running the opposite direction you'd expect. 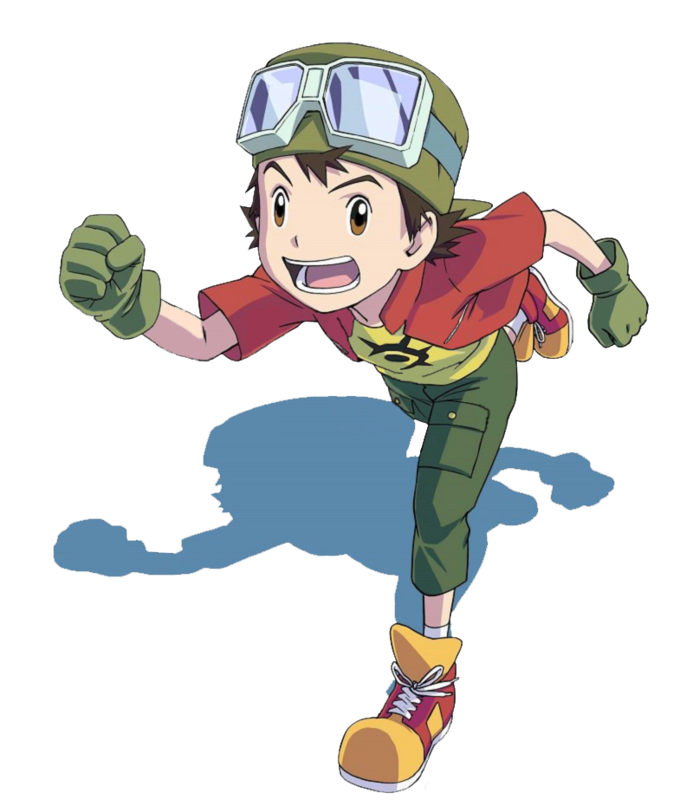 Perhaps everyone is running to the left (sort of combining the visuals from all 3 prior Blu-ray boxes), or the left side might have the Digimon with the kids on the right, or even having the kids running fanned out with each at a different angle? The colors feel a touch dull in the version posted, which also happened with the Tamers artwork. The Amazon store exclusive is a mini shikishi and 6 acrylic keychains. 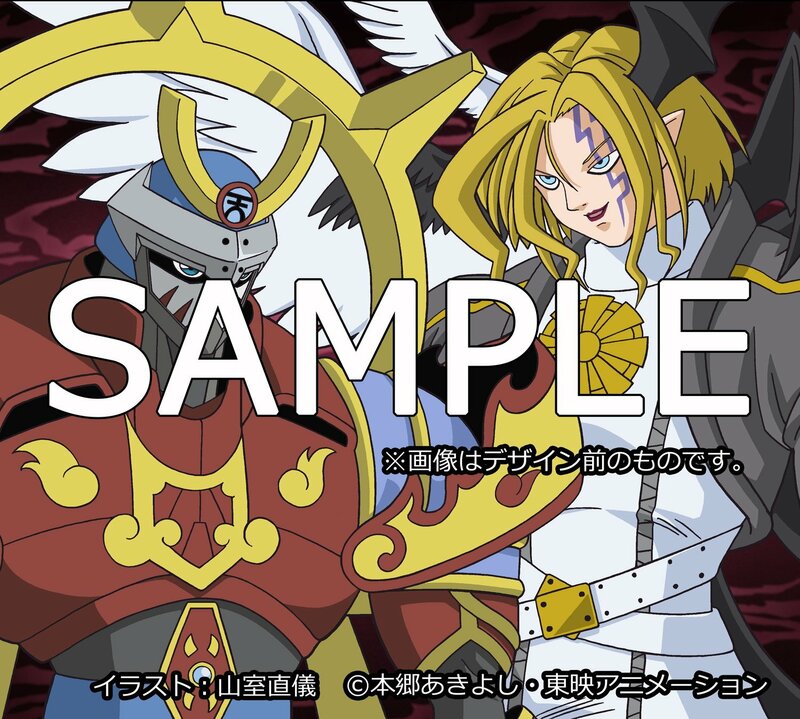 Here they preview the artwork that will be printed on the mini shikishi, which will be Susanoomon and Lucemon: Falldown Mode. The artwork of them looks to be clean and crisp versions of their standard profile artwork. The Yodabashi store exclusive will be a B2 size fabric poster and tote bag. They preview they fabric poster, which will feature Fairymon and Shutumon. I might be wrong, but I think this is brand new art of the characters? A nice first look at Takuya from the Frontier Blu-ray cover, along with a sample of some of the store exclusive bonus items. More to come! Always a pleasure to see brand new artwork from Nakatsuru, especially for one of my favorite Digi-shows. Takuya looks great. Very excited to see the final product. I feel more confident about canceling my pre-order for the Amazon-exclusive edition after seeing the mini shikishi. It looks pretty dull. I'll wait to see what the acrylic keychains look like before I "downgrade" to the regular edition, but so far this doesn't look like it's worth the price difference. I don't recall ever seeing it before either. This artwork was drawn by Setsuko Nobuzane, a frequent animator and animation director for the franchise. Nobuzane mentions drawing it in this tweet. I don't think the tweet sheds any light on when the art was drawn, but maybe someone else would like to take a look? The art for the Amazon shikishi is credited to Tadayoshi Yamamuro, which makes sense as they seem to have simply recycled his old character artwork. Last edited by MagicBox; 01-03-2019 at 11:51 AM. Takuya looks good, I'm interested to see how the rest of the box is laid out, and how much plot it includes. Wow, considering which characters are on the poster that is a lot more tasteful than I'd have expected in regards to the two garterbelt-fetishmon. 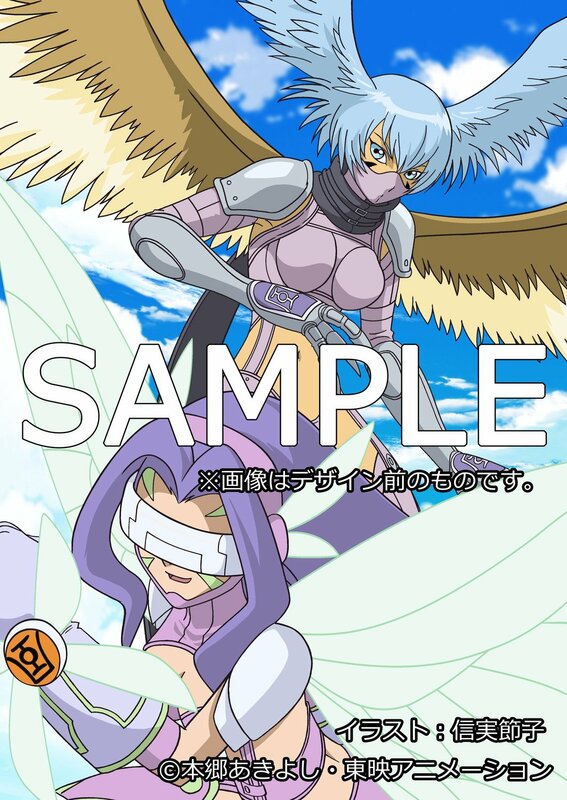 It makes the other image with Susanoomon and Lucemon FDM look boring in comparison. Probably doesn't help that the other one looks like it should be wider and makes Susanoomon and Lucemon look smushed together.